Students need to be able to identify key details in a text, but also need to be challenged with comprehension activities that include higher-level thinking skills. Wixie can help them do both! Wixie include hundreds of activity templates like plot diagrams and character trait clusters you can use for formative assessments. Wixie's powerful authoring tools also get students making in language arts to demonstrate comprehension. Here are 8 ideas to help you take a creative approach to building and evaluating comprehension with Wixie. Use the hyperlinks in each section to connect to complete lesson plans or additional ideas. Book covers are designed to get us to buy a book by providing a teaser to the contents of a story and by using imagery that connects to our emotions. Have students demonstrate their understanding of characters, plot, and story setting through the design of a new book cover or jacket. Book covers can include plot summaries, reviews, teasers, and quotes from the story to further hook potential readers. Assign Wixie's Design a Book Cover template to have students create a colorful front cover and an informational back cover, lending insight into their comprehension of character, plot, mood, and more. While their families may not have a coat of arms, most students are familiar with this form of heraldry, especially if they love stories about knights and princesses. Ask students to demonstrate their understanding of the traits of a character by creating a coat of arms that reflects the character’s personality, passions, strengths, and experiences. A graphic organizer, like a cluster, is a great way to help students identify and record the key character traits they want to symbolize on their character coat of arms. Students can use the Coat of Arms activity in their Wixie templates and add color and symbols to show a character's traits and experiences. Students can cite text directly and add a motto in the space beneath the shield. Many kids today have parents who have been documenting their lives with scrapbooks and photo journals. Creating a digital scrapbook for a character can help you evaluate a student’s knowledge about a character and their understanding of the motivation behind the character’s actions. Wixie includes several different Character Scrapbook templates that include places for students to not only add photographs and visuals, but also craft journal entries and write letters between characters. Scrapbook decoration should reflect a student's understanding of the content, but can also provide them with an opportunity to show off their own personality. Even if they don't have a social media account, young students are aware of different social media platforms, so ask them to create a fake social media page for a book character. Building a profile can help students connect more deeply with a character as they take on the viewpoint of that character. 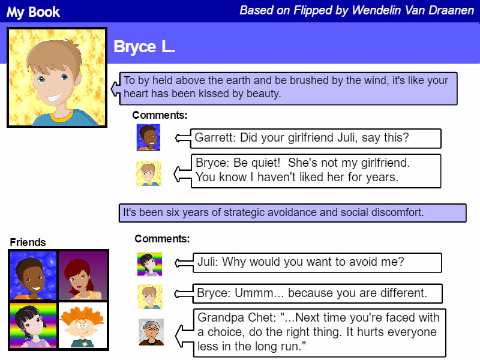 Wixie includes a MyBook template that encourages students to create a profile image that reflects physical characteristics and write status updates from the character’s perspective. Students can also include exchanges between the character and their “friends” that reflect a character’s interests. Students can add images that represent the setting or events in the story and add captions that are direct quotes from the text. 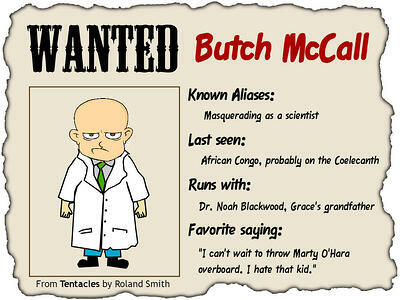 Wanted posters are a fun way for students to describe a character’s traits. Wixie includes several different Wanted Poster templates students can use to organize their information. Some include a “favorite saying” option students can use to directly cite the text. Wanted posters are also a natural way to connect students to the motivations of the antagonist(s) in a story. Have students create wanted posters for villains in the stories not only helps you evaluate comprehension, it also help students consider how they might craft a villain to add impact to their own writing. If you want students to really engage deeply with characters and plot, ask them to create a card game based on the book, or series, you are ready. Trading cards are fun, but the cards that students really love assign points to people or characters and can be played against one another. 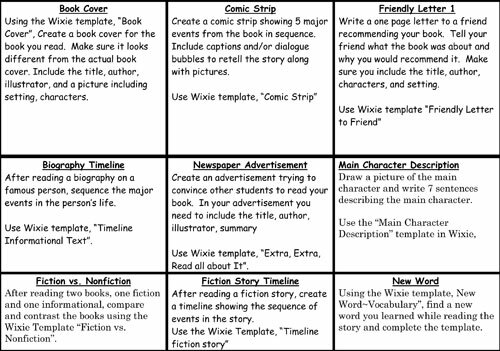 Wixie includes Cluster and Plot Diagram graphic organizers students can use to identify character traits or sequence events in a story. Comparing clusters can help students assign points to characters and the plot diagram can give them ideas for creating steps in the game. Students can use Wixie's trading card printing options to publish their card game. Have student demonstrate understanding of vocabulary, word choice and figurative language by creating visual poems. Poetry's purposeful word choice encourages close, careful reading. The shorter nature of poems and precise language is also a great way to help ELL’s build vocabulary. Have students read, reread, and explore the words in each line of a poem, discussing meaning and author’s intent. Then, have students create images that support the author’s word choice or search for images at an education-friendly site like Pics4Learning.com. Students can use Wixie to combine the images with the text of the poem and record themselves reading it. Move your book review into the digital age by asking students to create book trailers in the style of movie previews. Effective trailers share information about characters and plot in a manner designed to entice and motivate others to read. Students need to not only understand the book, but connect the story to their own experience in order to make it relevant to the viewer, helping them build powerful skills in argument and media literacy. Combine all of these ideas on a choice board! Rather than controlling the type of product created, put students in the driver’s seat with a choice board! A choice board is a table or similar graphic organizer containing a range of ways students can demonstrate understanding, or in this case comprehension. Students use these options to determine how they want to show you what they understand. Depending on how you implement them, these could operate like a menu of choices for a single summative project or as a list of choices they can use as inspiration for projects they complete over time. Using these Wixie ideas and choice boards means that instead of giving rote responses or taking quizzes, students become makers and creators.